PICK-UP ONLY PLEASE. Toppings Extra. No Coupon Necessary. ANY SALAD (Up To 6 Salads) With this coupon. Not to be combined with any other offer. Any Purchase of $18 or More With this coupon. Not to be combined with any other offer. Any Purchase of $30 or More With this coupon. Not to be combined with any other offer. Two Large One-Topping Pizzas, Cheesy Breadsticks & a Two-Liter of Soda $25.99 A $16.99 SAVINGS!!! With this coupon. Not to be combined with any other offer. Any Purchase of $120 or More With this coupon. Not to be combined with any other offer. ORDER OF FRENCH FRIES With the Purchase of Any Sub A $2.99 SAVINGS!!! With this coupon. Not to be combined with any other offer. 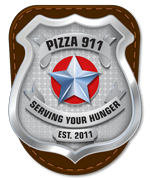 $1.99 With the Purchase of Any Large Pizza A $6.00 SAVINGS!!! With this coupon. Not to be combined with any other offer. SMALL CHEESE PIZZA With the Purchase of Any Large Specialty Pizza A $10.99 SAVINGS!!! With this coupon. Not to be combined with any other offer. 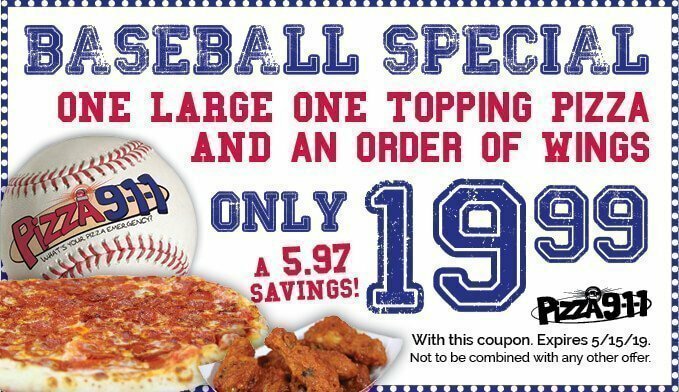 GARDEN OR CAESAR SALAD With the Purchase of Any Large Pizza A $6.99 SAVINGS!!! With this coupon. Not to be combined with any other offer. Any Purchase of $60 or More With this coupon. Not to be combined with any other offer.